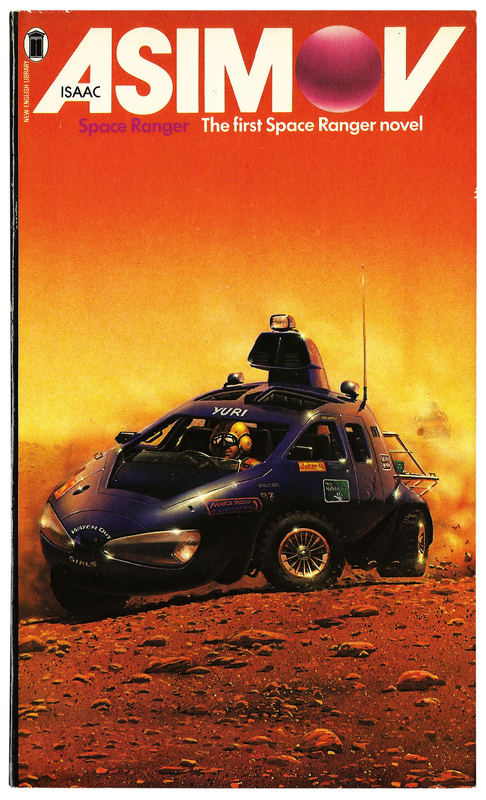 Paperback covers #8: Peter Elson’s Space Ranger series | 'TAIN'T THE MEAT… IT'S THE HUMANITY! A series looking at some of my favourite book covers and cover artists. Published between 1952 and 1958 Isaac Asimov’s Space Ranger novels featured the adventures of space pilot David Starr, or Lucky Starr as Asimov nicknamed him. 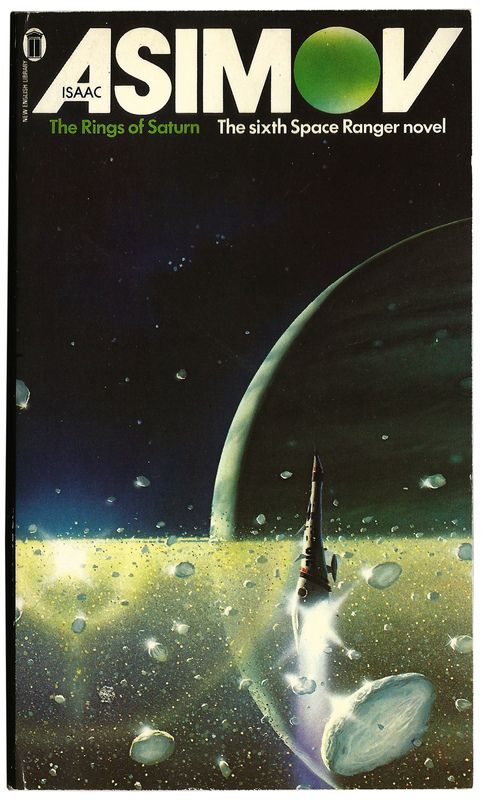 Asimov’s publisher originally commissioned the author to write a series of juvenile novels that could potentially be used as the basis for a television show. However, such was his distaste for the then current state of American TV, Asimov refused to put his name on the books, instead writing under the pseudonym Paul French. 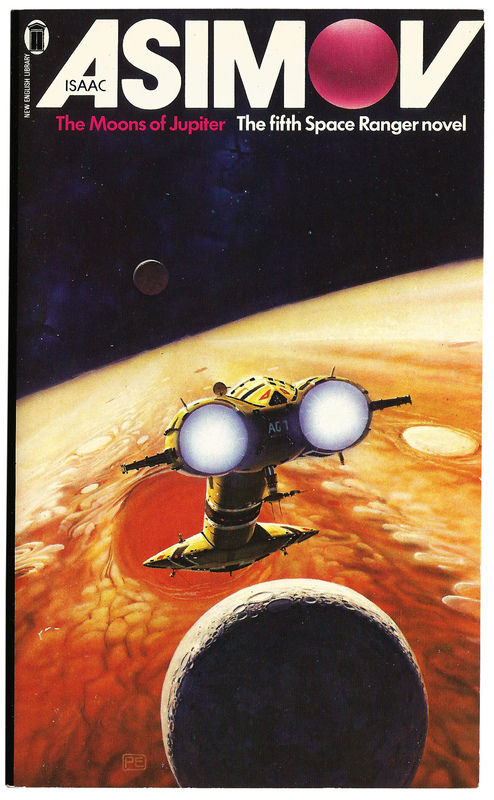 Asimov eventually wrote six novels in the series: David Starr, Space Ranger; Lucky Starr and the Pirates of the Asteroids; Lucky Starr and the Oceans of Venus; Lucky Starr and the Big Sun of Mercury; Lucky Starr and the Moons of Jupiter and Lucky Starr and the Rings of Saturn. A seventh planned novel was abandoned when Asimov began to concentrate more on non-fiction writing. 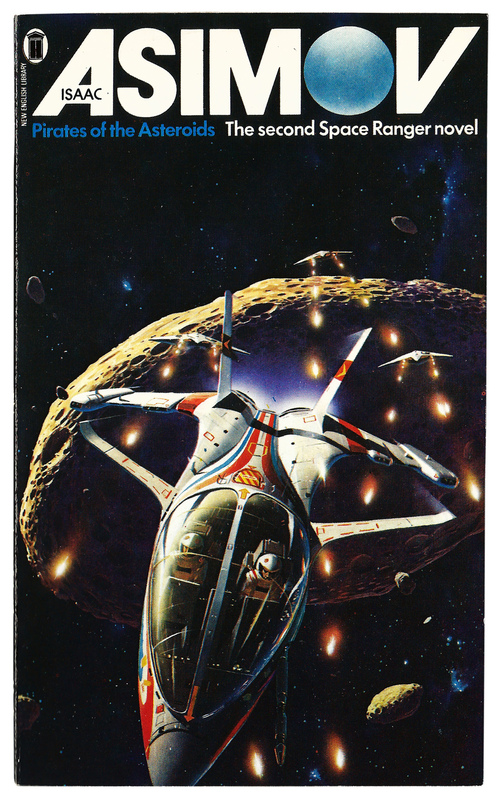 In the early 1980’s New English Library (NEL) reprinted the novels in the UK, dropping the Lucky Starr prefix, and commissioning new cover artwork by artist Peter Elson. Elson, a talented artist with a passion for science-fiction, did a mighty fine job. 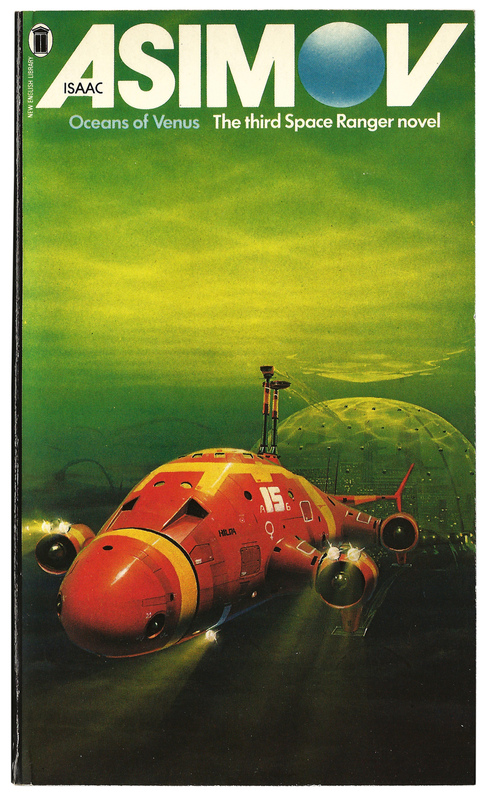 His covers are richly detailed, atmospheric and dramatic, while a couple of them (Oceans of Venus and The Moons of Jupiter) are reminiscent of fellow artist Chris Foss. Sadly Elson passed away suddenly in 1998 at the age of 51. He left behind and impressive portfolio of work, of which his Space Ranger paintings are but one of many highlights from his short career. 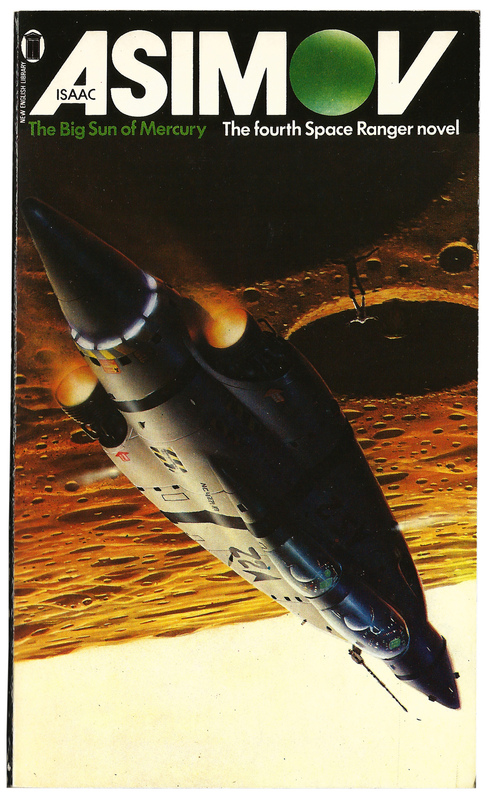 If you’d like to see more examples of Peter Elson’s work then head over to the official website that’s been set-up in his memory.